Whether it is to drive agility, develop new skills, or engage and scale through community, open source is at the core of how developers deliver value in a cloud world. I can clearly see this accelerating through my work on Microsoft Azure. Open source technologies are an integral part of our offerings, and we have a strong partner ecosystem helping us deliver the open source solutions developers love on Azure. To show what’s possible with open source on Azure, Microsoft will host the first Azure OpenDev online event on June 21st at 9 am (Pacific Time). This new event series is designed for developers and architects using open source technologies and the cloud to accelerate innovation and digital transformation of the business. The event will include open source thought leaders such as Canonical’s founder Mark Shuttleworth, Docker’s COO Scott Johnston and other community advocates from Chef, Pivotal, Red Hat, and more, sharing their perspectives on what is possible with open source and the cloud. I hope you’ll save the date to participate in this community event. 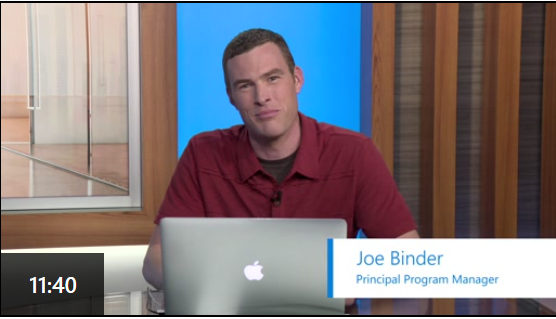 Azure OpenDev is an online conference series scheduled to occur every 3 to 4 months. In this first edition, we will showcase ways to run your open source applications and solutions in the cloud. We’ll show you how to create microservices with open languages and platforms such as Java and Node.js (and really anything else), leverage containers and orchestrators, and improve your DevOps pipeline using open tools. You’ll hear people who are building and deploying open source solutions every day. They’ll share best practices, lessons learned, and helpful tips for using the cloud. You’ll also have the chance to ask about what’s on your mind through a Q&A with subject matter experts from Microsoft and our partners. Check out the full speaker lineup and session topics on the event page. Watch Joe Binder, Principal Product Manager for Microsoft Azure, show how easy it is to deploy a Java Spring Boot app to Azure. Using IntelliJ and the Azure CLI 2.0, Joe takes an existing Spring Boot app, containerizes it, and quickly deploys it to Azure Web Apps on Linux as well as Kubernetes on Azure Container Services. 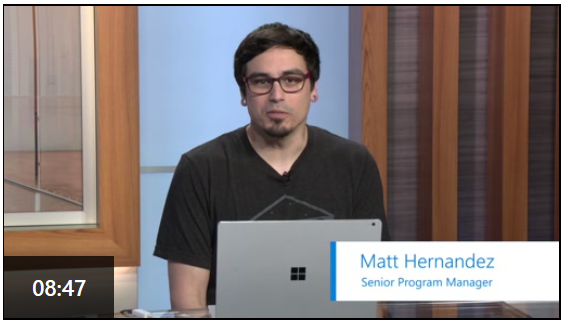 Matt Hernandez, Senior Program Manager for Microsoft Azure, deploys a sample Node.js MEAN application to Azure Web Apps on Linux, presenting the full developer experience with Visual Studio Code and the Azure CLI 2.0. Matt also showcases how to store the app’s data inside Cosmos DB, a drop-in replacement for MongoDB to which it maintains full protocol compatibility. Each video comes with all the instructions, code, and scripts available on GitHub for you to try the services and solutions yourself. Whether you’re completely new on our cloud, or you’re already an Azure ninja, you’ll be able to learn and practice something new. The how-to videos are available online today on the Azure OpenDev event page. Visit Azure OpenDev to learn more about the event and save the date to your calendar. Please help us spread the word to your friends and family. It takes a village! If you are unable to watch the Azure OpenDev on June 21st at 9 am PT and enjoy the full live experience, all is not lost! Immediately after the event, all the sessions will be available on-demand on the event web page.